Joni Void - Mise En Abyme. Vinyl LP. Bleep. 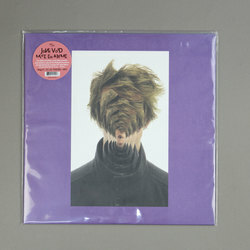 With his 2017 debut Selfless, French-Canadian producer Joni Void (aka Jean Cousin) demonstrated to the world a bold voice in experimental music’s new guard — scoring a direct hit with the staff and readers of music site Pitchfork, who placed the album among the best of that year. Mise En Abymemarks his most conceptually ambitious work yet, blending the verbal and non-verbal recordings of friends’ with clipped and snipped electronics. The album’s title, the central theme of Cousin’s work, refers to an aesthetic technique which places copies of a work with the work itself — paintings within paintings, frames within frames, a meditation on the self-being-seen.